This is the full text of TESPA, 07/12/2017. 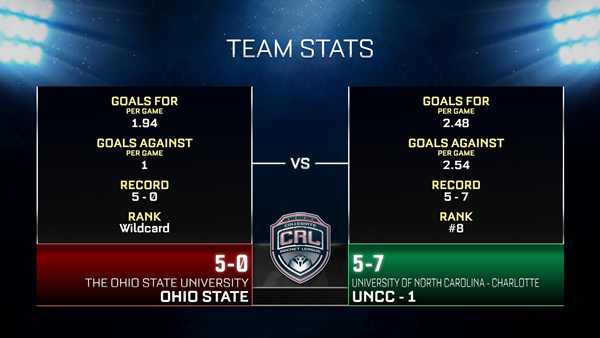 From wildcard darkhorse to tournament favorite, The Ohio State University’s perfect run through the Northern Conference has made it the rising star of Collegiate Rocket League. For a school whose teams were unable to advance in early play, this turnaround is seemingly nothing short of miraculous. Yet JBob2015, KiiNGz, and Vortex would tell you that their improvement has little to do with miracles, and more to do with bringing the best of Ohio State’s Rocket League talent together. At the beginning of September, the Buckeyes were a mere afterthought in the Collegiate Rocket League tournament pool. Ohio State’s two teams in the tournament had been dispatched with little fanfare, and those teams’ captains, JBob2015 and KiiNGz, found themselves facing a dilemma: was there any way for them to recover and reach the national championship after their disastrous showings? A wildcard berth was the only remaining way to qualify for regional playoffs, but how could they hope to achieve such a thing after their teams proved unable to compete against the relatively weak competition of qualifiers? Their solution was one that would reshape the entire landscape of Collegiate Rocket League. Aware that qualifying as a wildcard would require a team to both reach the top of the Collegiate Rocket League ladder and win the conference tournament, the two captains joined forces and combined players from their two squads for a final shot at victory. “Once KiiNGz and I met up, I knew if we found a solid third player we could compete nationally,” Jbob said. “I asked around until I found someone in Twitch chat who knew that Vortex attended Ohio State. I had played with Vortex before, but I knew I would have to convince him to play." Bringing Vortex’s raw mechanical skill and extensive competitive experience to the new squad was the stroke of lightning Jbob and KiiNGz had sought. He elevated the team’s performance and quickly found his place as the team’s offensive front man. More importantly, this new Ohio State team now found itself in an incredibly rare position. Having even one of the top 100 ranked players on Rocket League professional ladder would be a game changer for any college team. Ohio State now had two. Even with its new lineup, this “super team” faced an uphill climb. Finishing the season atop the open ladder was Ohio State’s only path to the regional championships, and they would need to ascend quickly. Over the next two months, their meteoric rise became the biggest story of the college scene. The team’s performance was so dominant that by season’s end, they had claimed first place by a margin of 130 rating points over the next best, the largest gap between any other teams on the Collegiate Rocket League ladder. Battling their way back from failure had been admittedly easy for Ohio State, but the Northern Conference tournament was only a stop in the road for a team whose sights were already set on a higher goal. 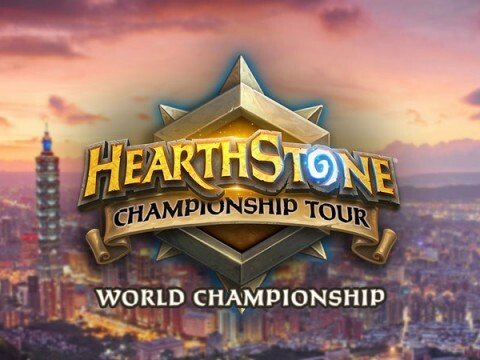 Winning the regional tournament would mean redemption, but more importantly, it would also mean qualification for the national championship event. For this team, that was all the motivation required. Ohio State would run roughshod over their competition in the regional bracket, taking down Illinois with a decisive 4-1 victory before moving on to upset tournament favorite Guelph by the same score. Placing their trust in both their talent and team synergy, they had cemented both their recovery and a place in the winner’s bracket of the Collegiate Rocket League national championships. The Buckeyes’ offense is anchored by junior players KiiNGz and Jbob, each of whom averages more assists than any of the other players at nationals. Combined with Vortex, whose MVP-worthy performance has seen him score on 43% of his strikes, these players bring an offensive prowess to the field that simply cannot be overstated. Considering that Vortex is only a freshman at Ohio State, it’s safe to say that his play will form the foundation of the school’s Rocket League team for years to come. Thus we find Ohio State, a team forged from the failure of two other squads, in the remarkable position of being the favorite at the 2017 Collegiate Rocket League national championships. “It was amazing to realize that I had reached a point in my career where the average Rocket League stream viewers knew me as a player, and went so far as to recommend me for our University’s team,” Vortex said. “ I can’t imagine a better way for it all to come together.” And come together it has. In spite of the failed qualification tournaments, the team restructuring, and even the incredible playoff run – for Ohio State, the real story has been the joining of these three players to become the biggest threat at the championships. With so much on their side, betting on these Buckeyes to win is a safe bet indeed.